Well something pretty excited happened recently. 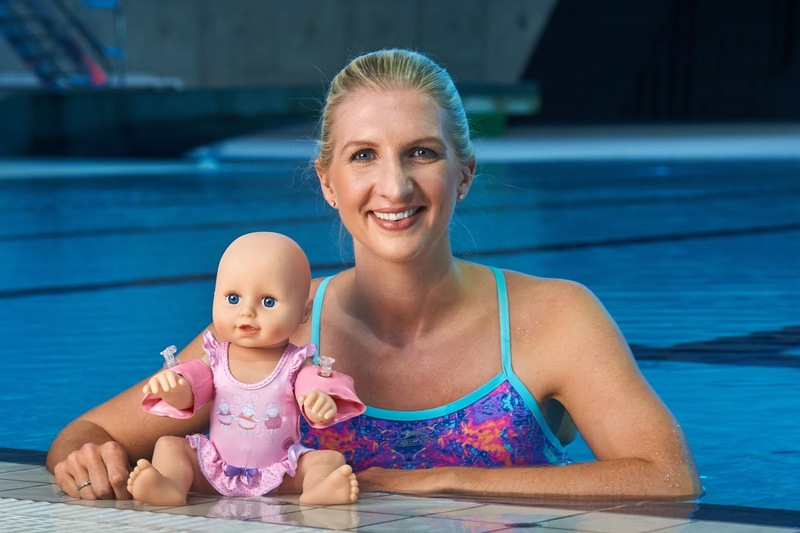 Darcy was invited to the launch of Baby Annabell Learns To Swim; the new Baby Annabell Doll from Zapf Creation. 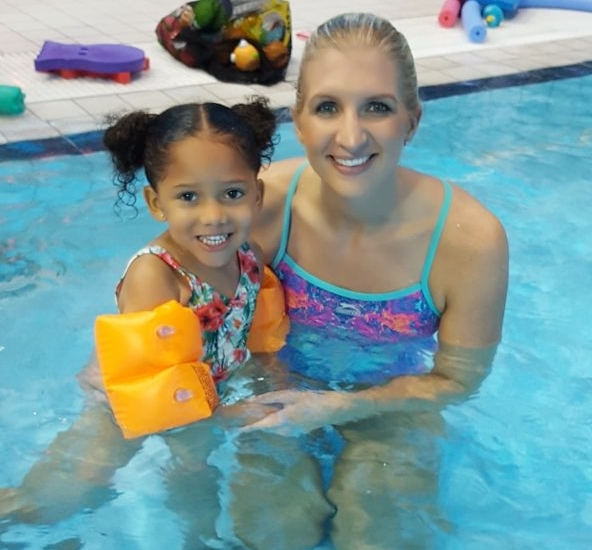 Baby Annabell Learns To Swim was launched at The Aquatics Centre at the Olympic Park; the kids had a very special swimming lesson with none other than Rebecca Adlington OBE. This was Darcy's first swimming lesson and she was understandably nervous. However, after a while those nerves disappeared and she was splashing about the pool lije a fish born to water. The lesson was run by a fab teacher called Donna and assisted by the amazing Rebecca who was amazing with Darcy. The kids got to play lots of fun games using floating aids. Darcy especially loved the shopping game, where the children had to collect as many balls on their floats as possible. Darcy had an amazing time and it took me forever to get her out of the pool. I may have a moment..... ok! ok! I cried as I was so proud of her. Darcy is besotted with her Baby Annabell and has a firm fixture in her bath time routine. Not only does Baby Annabell swim and floats on her back when in contact with water, she always giggles and babbles away. 1 - Children can be initially nervous of the water, baby steps and lots of praise will help them overcome a lack of confidence. Try taking them along to just watch for the first time, then toes in next time and so on, along with lots of positive praise to help encourage them to take that first dip. 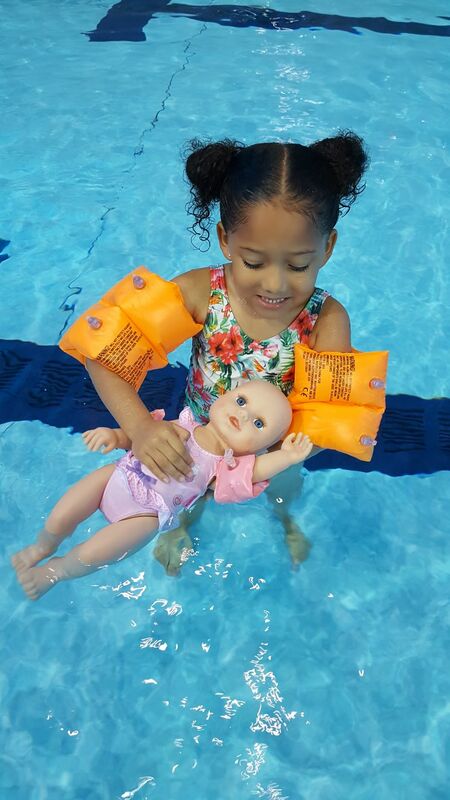 Baby Annabell Learns To Swim comes with a armbands, swimming costume and Towel.